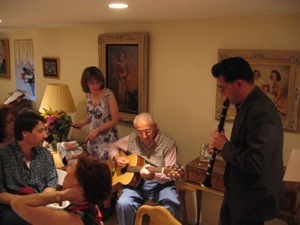 Carl “Cal” Calcara (1920-2008) was my grandfather. 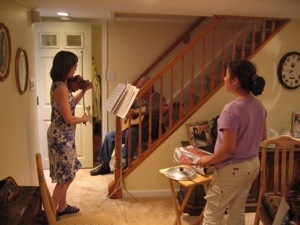 He has always been an inspiring musical figure in our family. 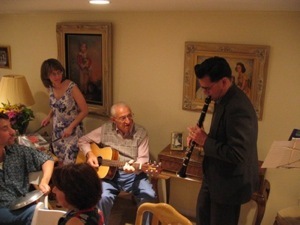 He was born in West Wyoming, PA, and came of age during the 1930s when swing music was the popular music everywhere. 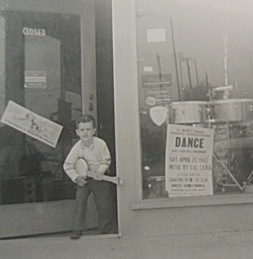 When I was first discovering this fascinating music, my grandfather would tell me stories of hearing the great Big Bands either in person or live on the radio: Benny Goodman, Tommy Dorsey, Duke Ellington. 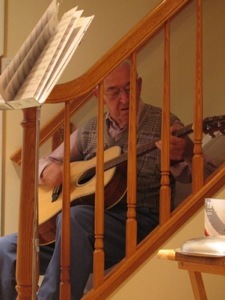 In high school he began to study the guitar, learning chords from a friend who played in the local radio station orchestra in Wilkes-Barre, PA. Grandpa had an excellent ear and singing voice and would learn to accompany himself “crooning” the latest tunes of the day. After a heroic time in the US Marine Corps during WWII (1940-45, first Marine Division at Guadalcanal), he married Mary Ella Dickinson and settled in southern California. 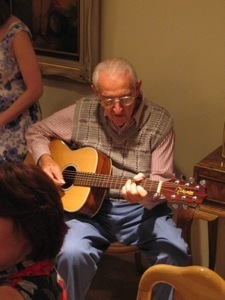 His musical ambitions came alive in the mid 1950s and decided to make a go in the music world. He formed the “Musi-Cals,” a fine dance combo that played many different styles – but focused on the classic swing music of his youth. 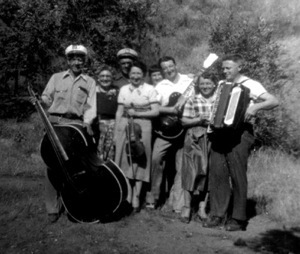 The band became quite popular, performing all over the San Diego north county region. 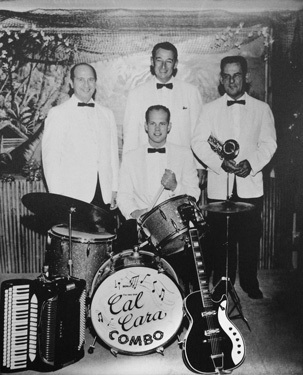 For many years the “Cal Cara Combo” was the house band at the Staff NCO Club at the Marine Corps military base at Camp Pendleton, CA.